I recently travelled to Las Vegas for a conference and managed to squeeze in a quick dinner with a friend at Kabuto Edomae Sushi. Before my trip I carefully researched Edomae sushi restaurants in Las Vegas. 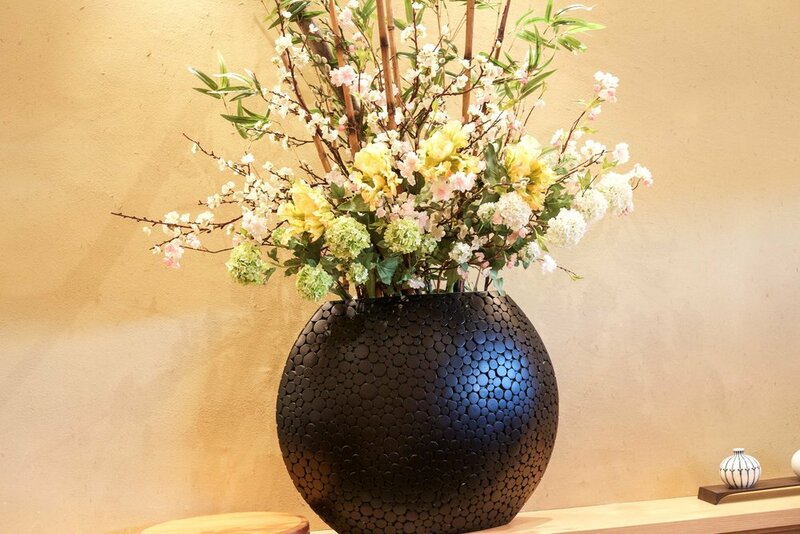 The general consensus is that the two best places in town are Kabuto and another shop called Yui Edomae. Apparently, Gen Mizoguchi was the head chef at Kabuto until about a year ago when he left to open Yui. Both places sounded pretty legit, but because Kabuto is the more established shop, and because it was recommended by a couple of Sushi Geek Facebook followers, I decided to check out Kabuto on this trip. The restaurant is located in Chinatown, in a nondescript strip mall. It doesn't look like much from outside, but inside it is quite a lovely space, with a beautiful bar that sits ten and a handful of tables. We arrived at 6 pm sharp and were promptly seated at the bar. Being limited on time, we decided to order the smaller "nigiri omakase" course which consists of an aperitif sake, one otsumami, ten pieces of nigiri, and a hand roll for $48 per person. The otsumami promptly arrived: a tasty bowl of tako and ika. We sat with this itamae, but sadly had zero interaction with him. He never actually spoke a single word to us, nor did he ever look at us or greet us. 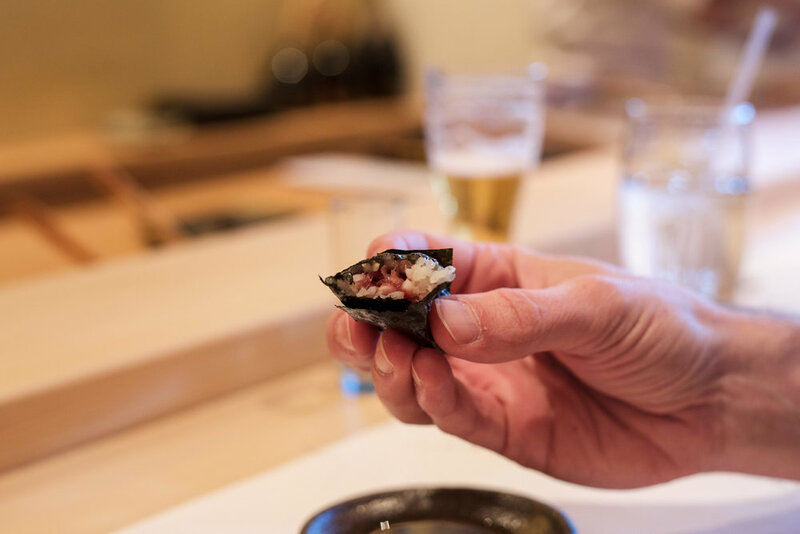 To me, a big part of the Edomae sushi experience is the interaction between customer and itamae, and so it was disappointing for the chef not to acknowledge our presence at all. The waitress, however, was extremely pleasant and efficient. Sadly, rather than being served one piece at a time, our ten pieces of nigiri arrived all at once on large plates. Nigiri tastes best when eaten immediately after it is made. When you serve ten pieces of nigiri at once the quality always suffers. The rice gets cold quite quickly and when it does, its seasoning and flavors fade. Top row from the left: ikura over rice, hagashi toro in a little bowl over rice, chinu (black snapper), akami zuke, aoyagi. Bottom row from the left: chu toro, fukko (they called it baby Japanese sea bass - but that would typically be called seigo - as far as I know, fukko is adult sea bass), aji, chibiki (bonnet mouth), and tamago. So how did it taste? Well, the shari was decent; I found it to be under seasoned but still reasonably tasty. Sadly, it was a little on the cool side at the start of the meal, and flat out cold by the end. Also, the nigiri pieces were WAY too small. It's hard to tell in the photos, but the pieces were literally half the size of typical nigiri. The quality and preparation of the tane was not impressive. Most pieces lacked seasoning - you could hardly taste any wasabi, and the chef did not apply sufficient nikiri. Everything tasted a little bit bland. Pictured above: aji - one of the better pieces served, it was flavorful and balanced. Still... it was way too small. When nigiri is too small, it doesn't have the right effect in your mouth and throws off the piece's balance. 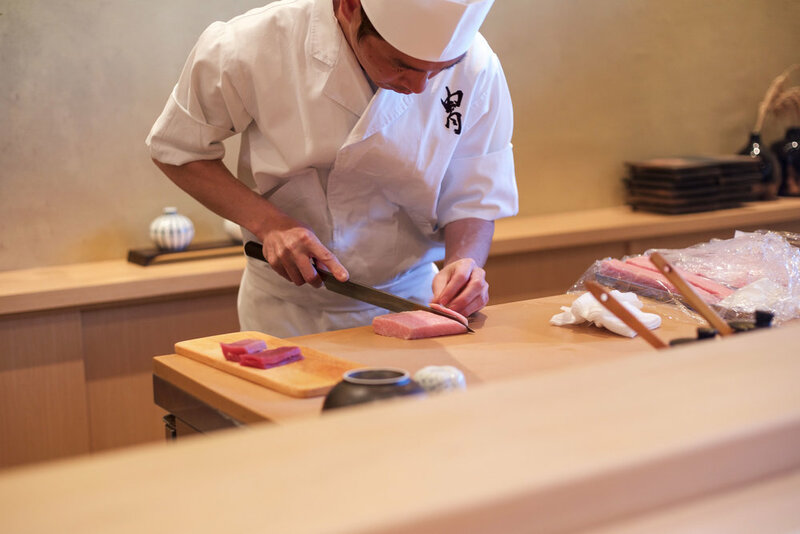 As you can see from the menu, Kabuto is quite the maguro specialist, featuring seven types of maguro cuts or preparations: aburi-toro, o-toro, kamashita-toro, hagashi-toro, chu-toro, akamizuke, and akami. We were served chu-toro and akami zuke. They weren't bad, but didn't have much flavor. The maguro tasted too young; it had not been aged long enough to allow for it to develop bold umami flavors. Following the nigiri course, we were served a negitoro hosomaki. It was one of the highlights of the meal; the green onions added a much needed layer of flavor and the nori was crunchy and of good quality. At the conclusion of the omakase, we requested one additional piece: kohada. Sadly, it was one of the worst pieces of the night: overly salty and vinegared, and lacking any balance. A big miss. Overall, I was a little bit disappointed by Kabuto. Sure, the ten piece nigiri omakase is quite affordable, and the restaurant offers decent food in a lovely setting, but the level of quality is nowhere near what is available in New York, LA, or the SF Bay Area. Would the experience have been better had we ordered a more expensive omakase course? Yes, in that we would have been served higher quality tane directly by the itamae, one piece at a time. 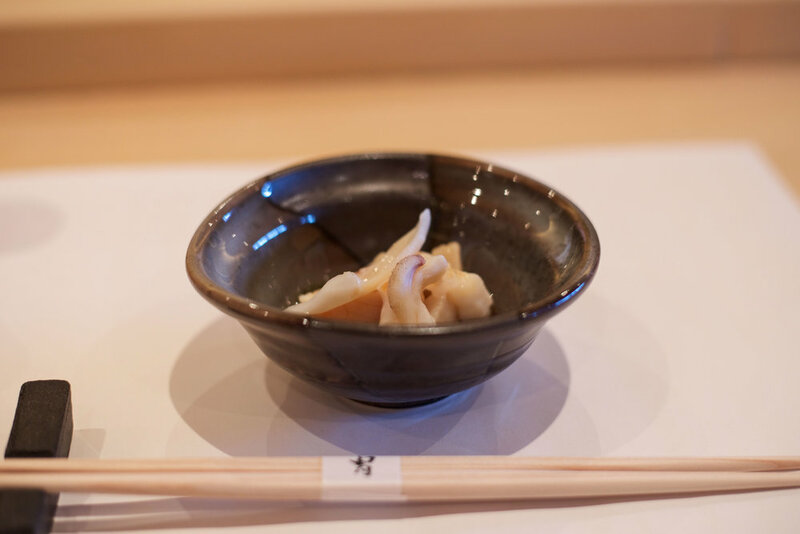 But some issues would remain: nigiri pieces that are too small, lacking teate (preparation) skills, fish that has not been sufficiently aged to fully enhance its flavors. If you find yourself really craving sushi while in Las Vegas, this is probably one of the best options in the area, just don't go in with high expectations.